1. The participants recognize the importance of sustainable carbon management in peatland. 4. Proposed standard methodology in associated with carbon MRV has been discussed and supported by participants from Indonesia, Japan, Vietnam and Germany. (1) CO2 flux, (2) peat/forest fire and hotspot, (3) forest degradation/recovery and vegetation mapping, (4) forest biomass change, (5) peatland subsidence, (6) water level and soil moisture, (7) peat thickness and carbon storage, and (8) water soluble organic carbon. 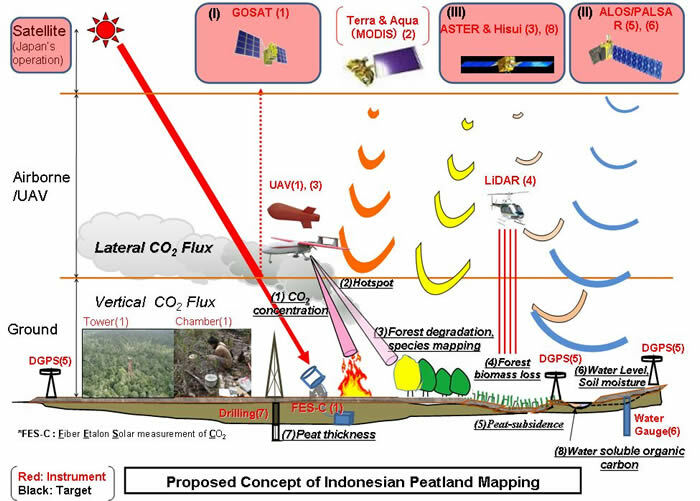 (ii) monitoring focusing on the integration ground measurement and remote sensing data for monitoring carbon dynamics in peatland. (iii) estimation focusing on GHGs emission from deforestation using model application that referred to the IPCC guidelines, UNFCCC guidance and other international standard. 7. 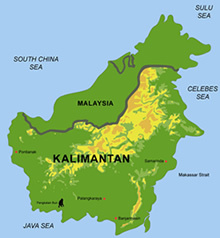 All of these methods and parameters implemented in this study are very important and will be continuously proposed by BSN (The National Standardization Agency, Indonesia) through international meetings in order to develop standard for deforestation as a follow up of ISO/TC207 Mexico Meeting Resolutions, No. 9/2010 and 13/2010.